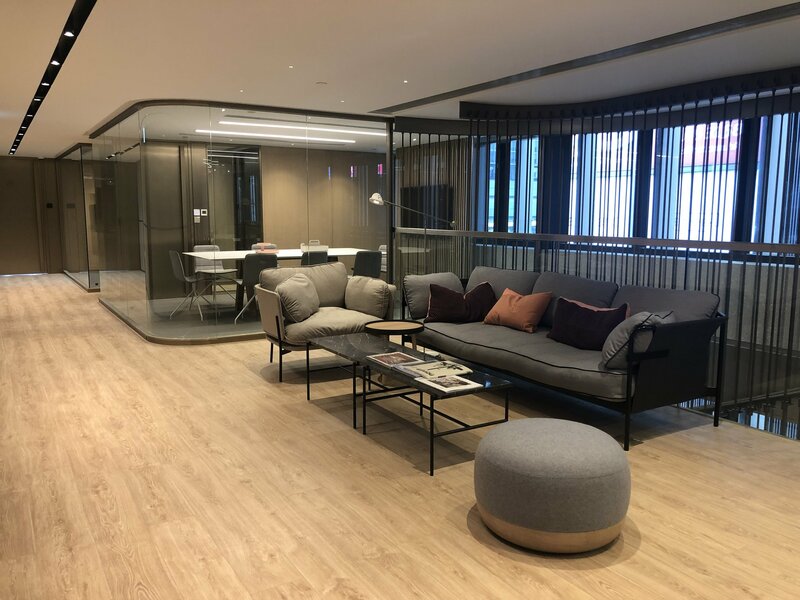 (22 January 2019, Hong Kong) Creative workspace provider Spaces announced that it will open Hong Kong’s first co-working tower, Spaces Sun House, on 24 January, providing international businesses, entrepreneurs, freelancers and freethinkers with over 77,000 square feet of innovative office space. Designed to be a homely working environment, the 20-storey building that comes with a rooftop will emerge as a convenient one-stop shop comprising of close to 130 private offices, 800 workstations, several floors of co-working space, indoor and outdoor event venue and a screening room. Officially opening on 24 January, Spaces Sun House is a newly refurbished building with a rooftop that has a Business Club area, private offices, and event spaces across its 20 floors. The reception area is located on the ground floor, where three of the side walls are made of floor-to-ceiling windows to attain optimal daylight. The lobby of Spaces Sun House has high ceilings and a massive chandelier designed by French light couture brand Blackbody comprised of 300 sets of OLED lights, resembling spacious designs of Class A buildings. With three exits that lead to Des Voeux Road Central, Connaught Road Central, and Wing Wo Street, getting to the building is a breeze. The 7,000 square feet “Business Club” located on the ground, mezzanine and first floor is a common area that encourages interaction among members and boost work efficiency. 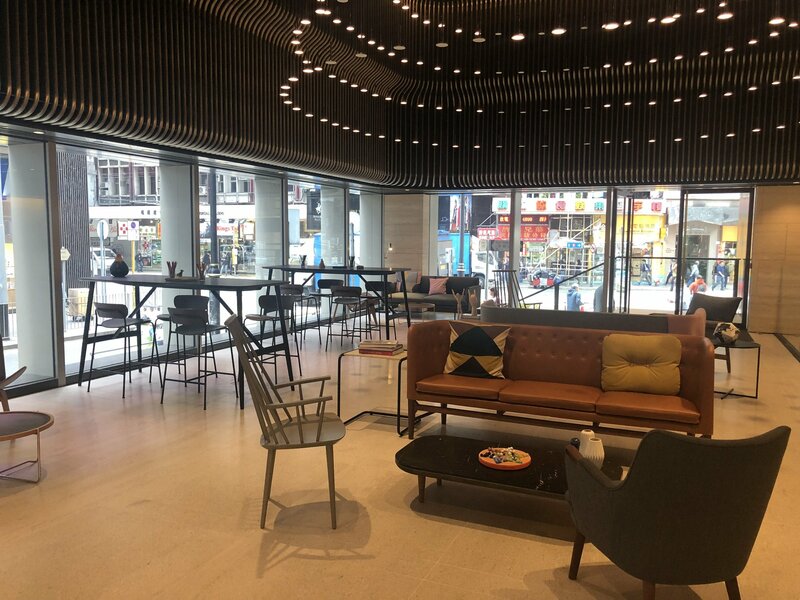 Thoughtful facilities and settings are in place to meet different business needs, including coffee bar, designer sofas, phone booths, communal tables, ‘think tanks’ and meeting booths. On the second floor are several meeting rooms, where the largest combined room can host up to 50 people, making them perfect for business meetings or other events. An internal staircase connects the floors between mezzanine and the second, making it easy to get around.The third to the nineteenth floor (a total of 17 floors) house close to 130 different private working offices that fit from 1 person up to 40 people. Rental periods for these offices are highly flexible as well, ranging from 1 month to 24 months. Located on the twentieth floor is an ideal event space of 2,000 square feet for businesses to hold seminars, exhibitions, product launches or other activities. It has a connecting rooftop that not only offers a view of the magnificent skyline and the Victoria Harbour to whisk away busy minds, but can also be transformed into an outdoor space for cocktail parties and many more. Spaces Sun House is furthermore equipped with Asia’s only screening room for Spaces at the basement, where members can freely host movie shows for an exclusive group. The basement floor will be opened in March 2019. The former Sun House building was completed in 1977, and has now transformed into an iconic modern structure after refurbishment. Today, Spaces Sun House is an aesthetic bronze building with divine interiors. Following Space’s traditional European design concept, Spaces Sun House dusts a graceful coherence across the workspace that is complimented by the placement of handpicked artwork and elegant European furniture and decorations on each floor. 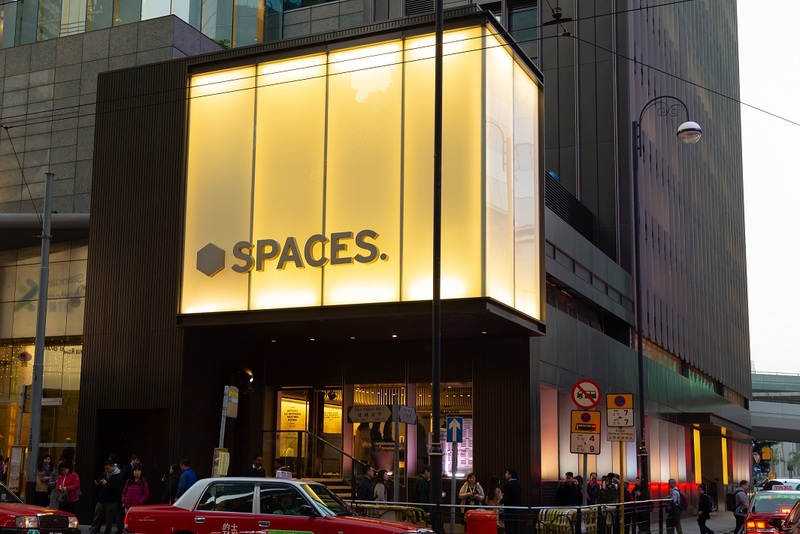 Spaces will launch a new location on Hennessy Road, Wan Chai in February 2019. Spaces Hennessy Road will provide as much as 22,700 square feet of creative workspace spanning 12 floors. Wan Chai MTR Station is just a closeby 3 minutes by foot, rendering it an ideal office location for corporates and start-ups. Spaces celebrated its 10th anniversary in December 2018. Starting off as a pioneer in flexible working, the company has already brought its unique culture and energy of entrepreneurship to over 160 locations across 50 countries and regions. 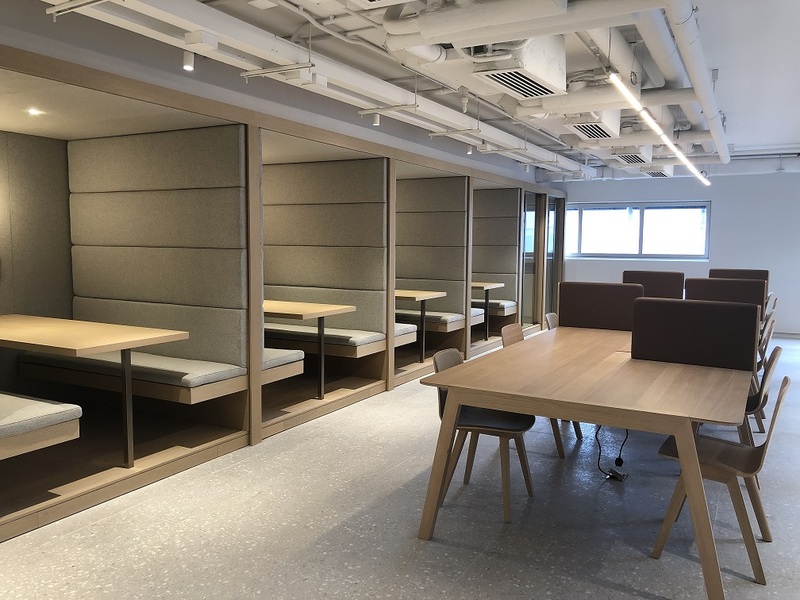 Since its official launch in Hong Kong in July 2018, Spaces has now opened three locations in Lee Garden 3, Wai Yip Street and Wong Chuk Hang. 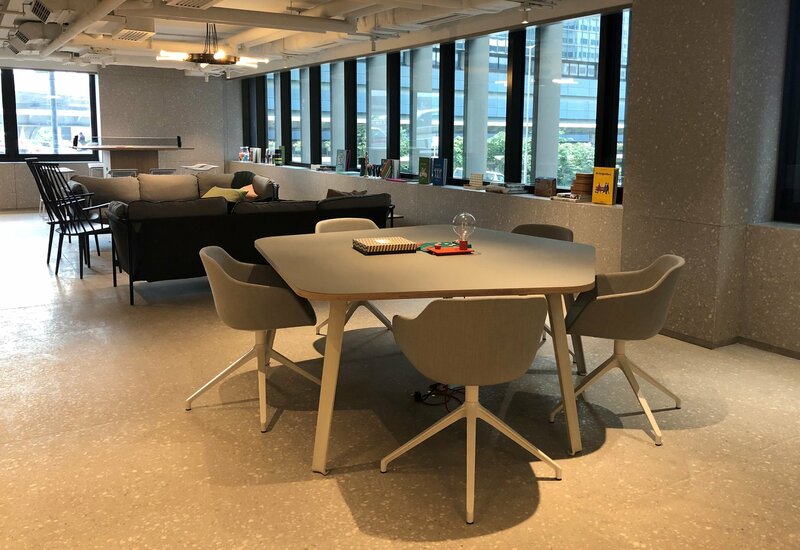 In 2019, the number of Spaces locations in Hong Kong will rise to 5, providing over 235,700 square feet of flexible working offices that facilitates thinking and inspires creativity. For more information, please visit www.spacesworks.com.